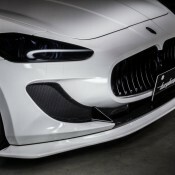 Available in normal and wide body guises, Fairy Design Maserati GranTurismo comes with a large front spoiler, side skirts, custom rear bumper with an integrated carbon diffuser and integrated MC tailpipes, plus a massive ducktail rear wing. 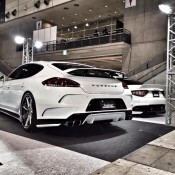 Of course, if you go for the wide body version you also get front and rear fender extensions and the necessary air suspension system and the wide wheels that are vital parts of any super wide car. 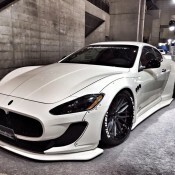 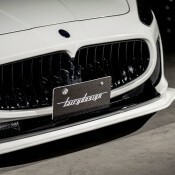 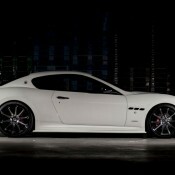 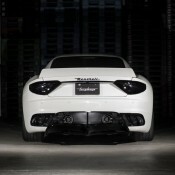 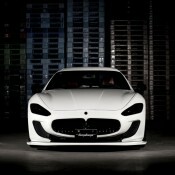 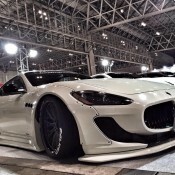 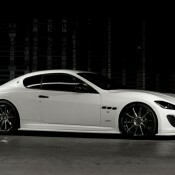 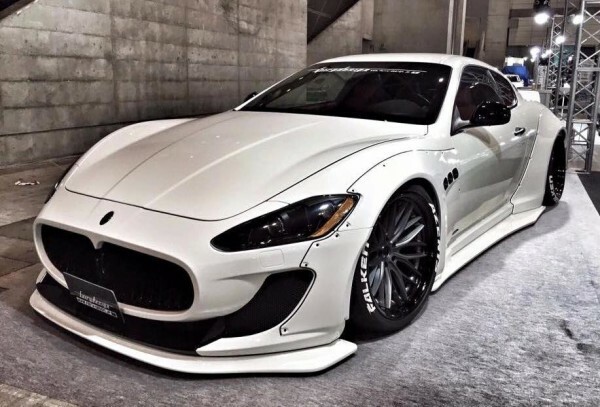 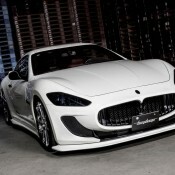 The post Fairy Design Maserati GranTurismo at TAS appeared first on Motorward. 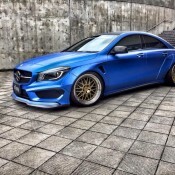 Japanese tuner Fairy Design has come up with a new wide body kit for the Mercedes CLA which gives the little four-door coupe the girth, and attitude, of a muscle car. 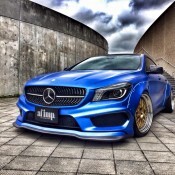 Fairy Design Mercedes CLA is the most insane version of the car you can buy today… if you live in Japan. 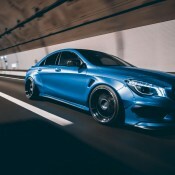 The thing is, the CLA is a cute and cuddly little Benz one would imagine is appealing most to young college kids and, you know, ladies. Neither of those demographics are that into wide body kits, especially such extreme body kits. 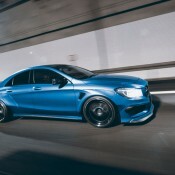 Fairy Design Mercedes CLA kind of looks like a small man who has taken an inordinate amount of steroid and sort of grown out of his own body! 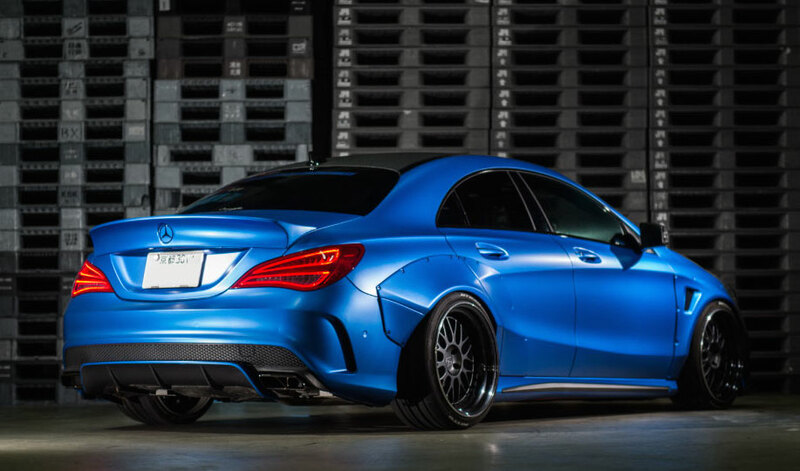 The styling package on this Fairy CLA consists of front and rear over fenders – which have something of a Liberty Walk design about them – front lip spoiler, rear diffuser, and a cool ducktail rear boot lid spoiler. 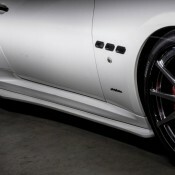 If you want the full effect you have to also get a set of large and wide wheels and also sport lowered suspension. 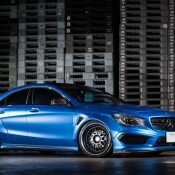 The cost of Fairy Design Mercedes CLA is 600,000 Yen in Japan. 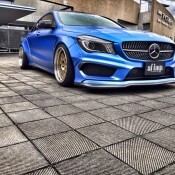 There is no talk of a performance upgrade, but if you go for the CLA 45 AMG model you won’t need one anyway. 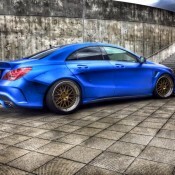 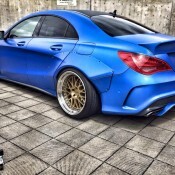 The post Fairy Design Mercedes CLA Wide Body appeared first on Motorward.